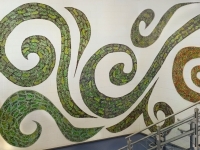 Proud of their new LEED-certified building Erdenheim parents wanted a project that both celebrated and communicated the importance of environmental responsibility. 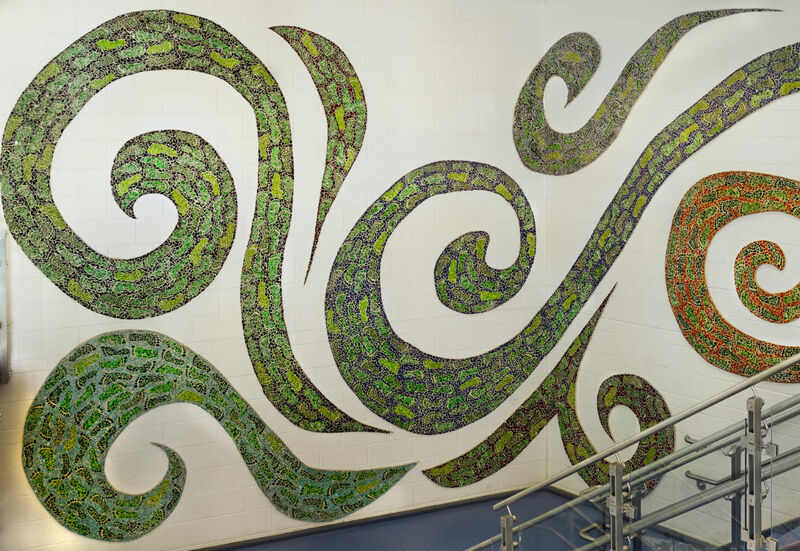 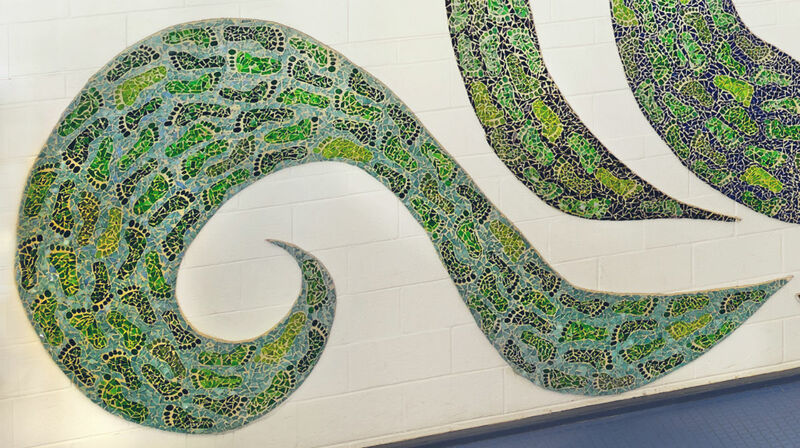 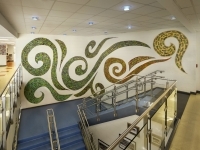 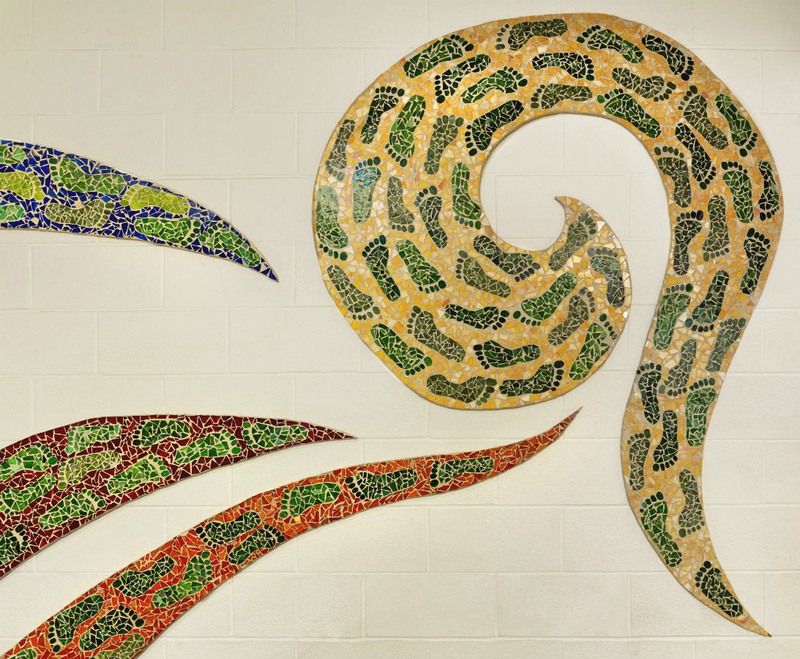 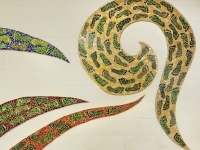 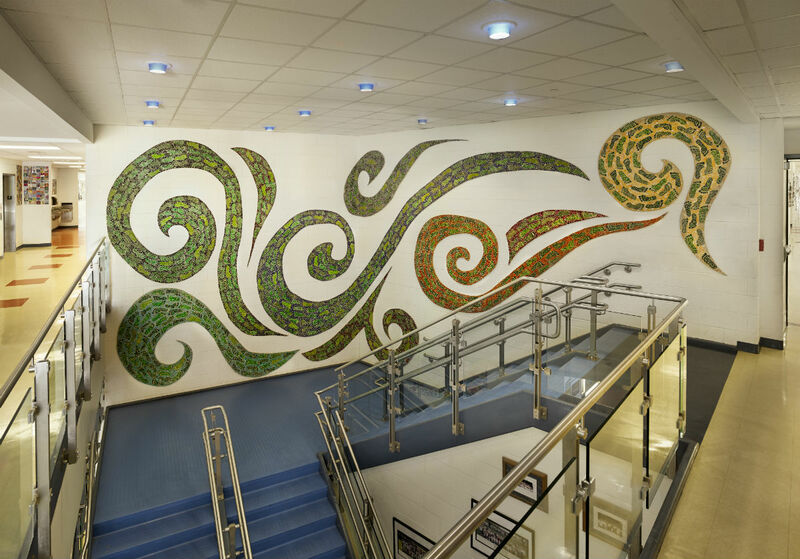 The swirls and colors represent the elements and the message is to leave only “Small Green Footprints” on the earth. 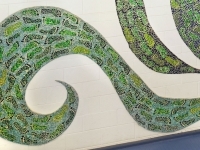 Students each tiled a green footprint and, working with many parent volunteers, filled in the background colors.